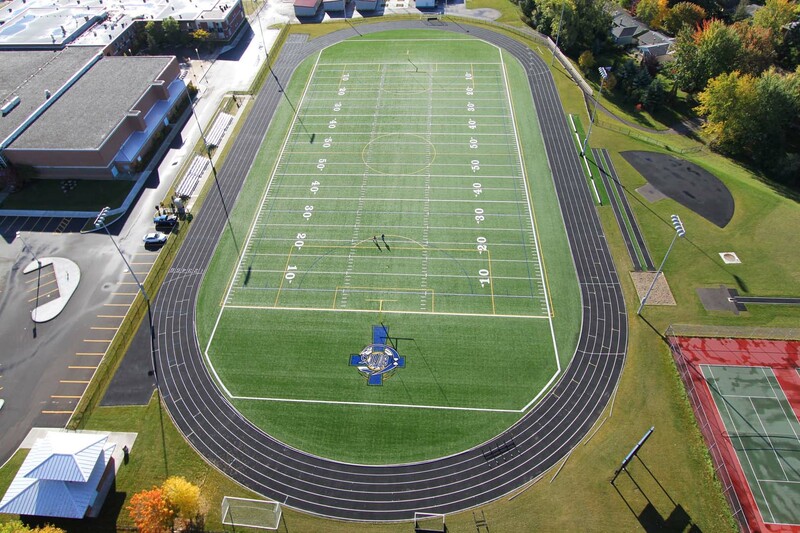 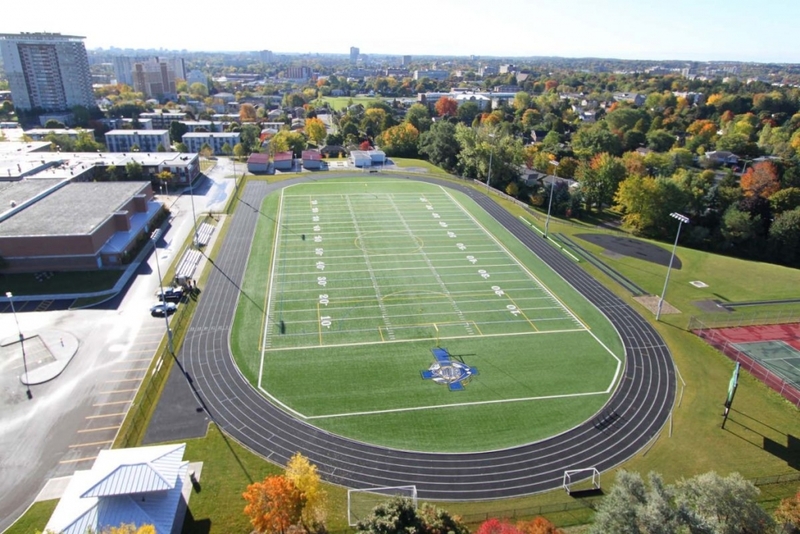 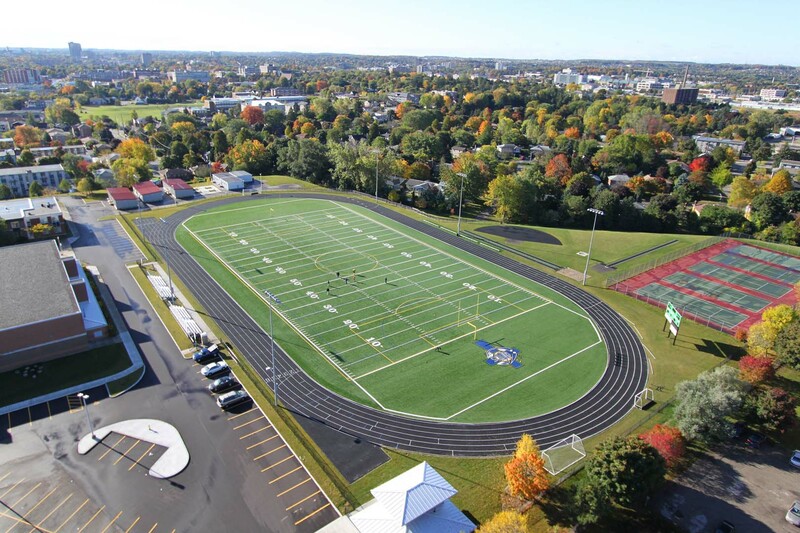 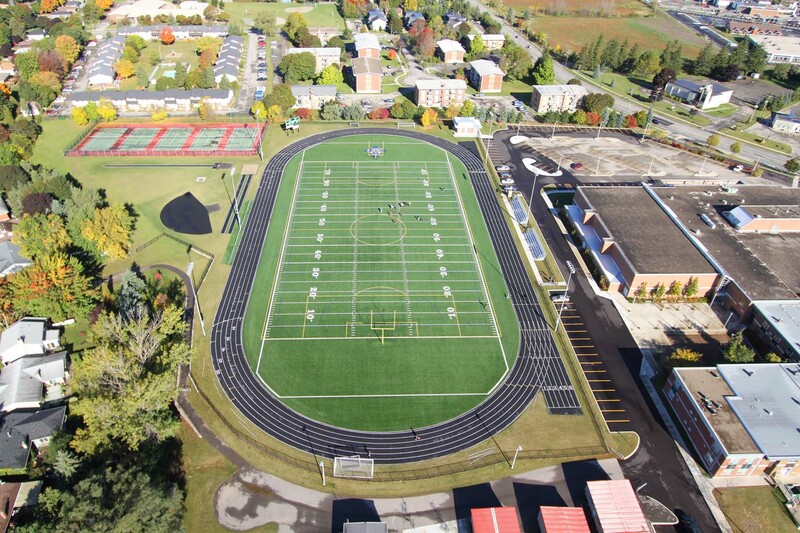 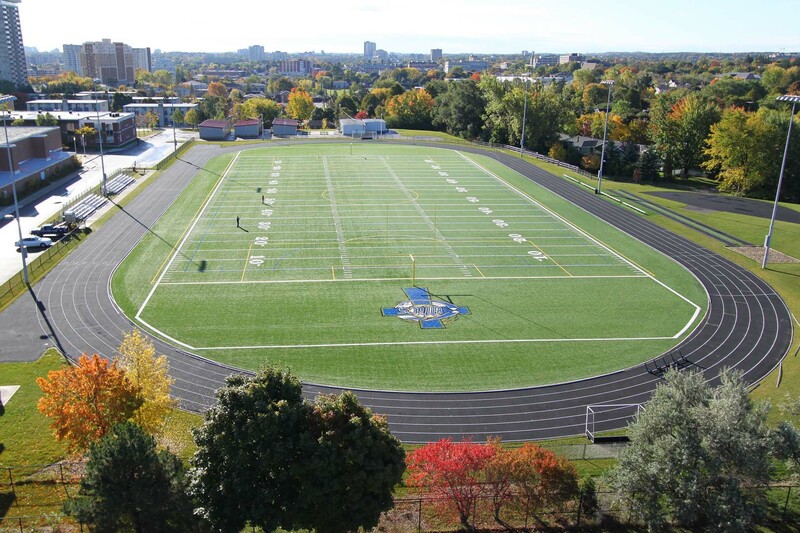 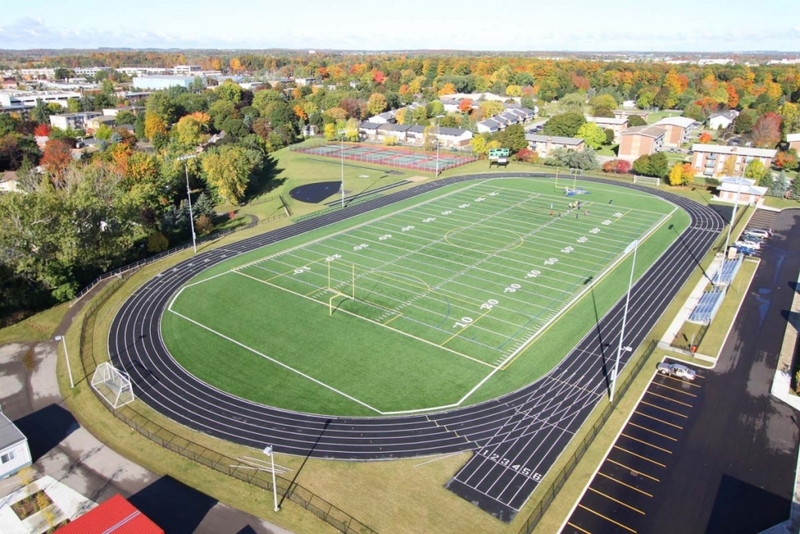 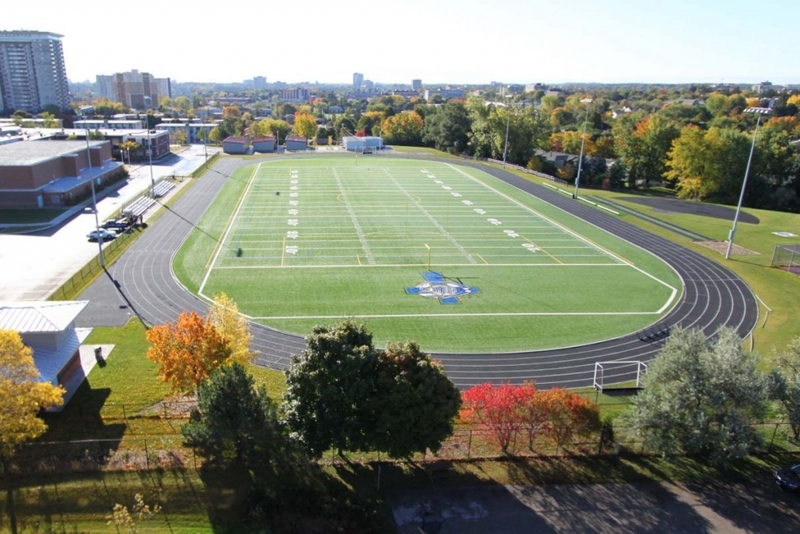 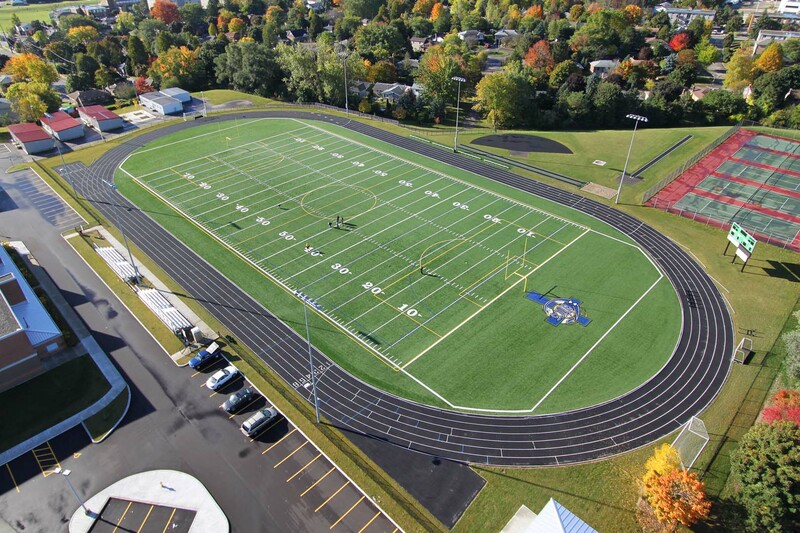 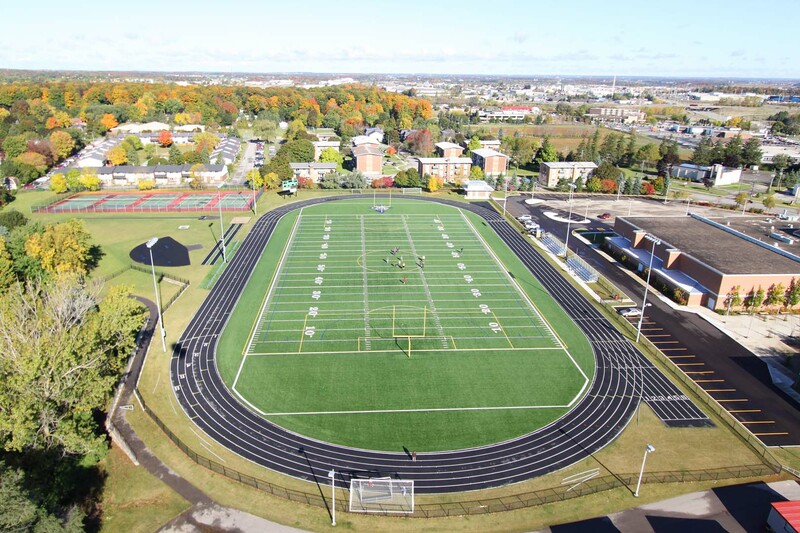 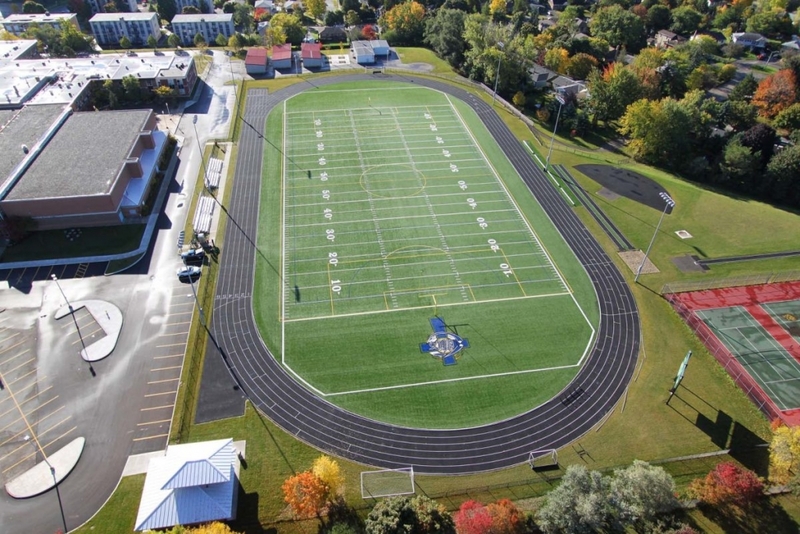 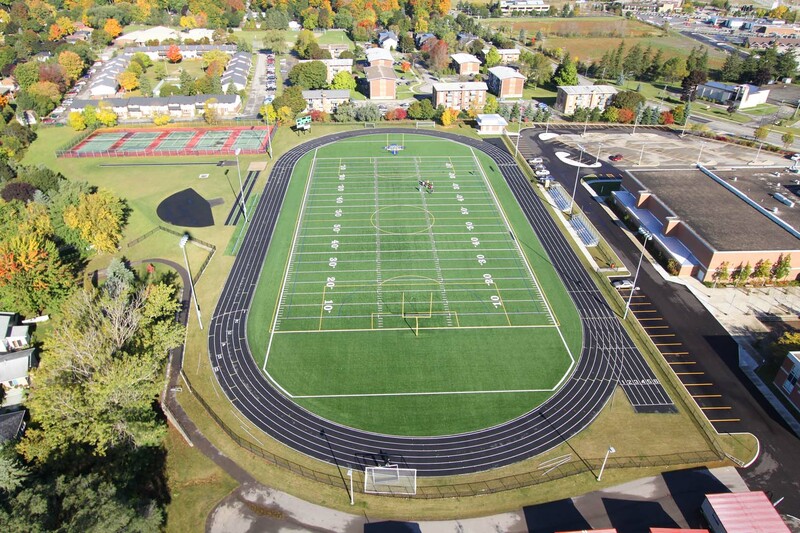 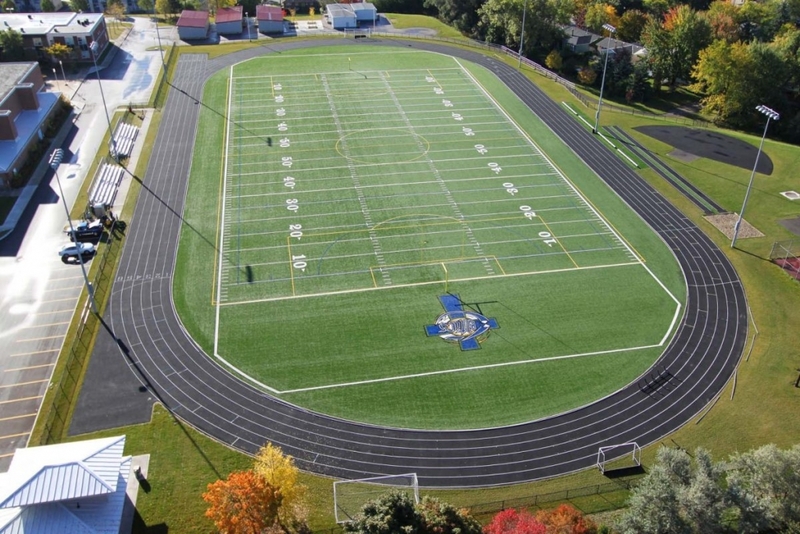 This project involved the development of a new full-sized synthetic turf field for soccer/football, and rubberized running track and track & field events. 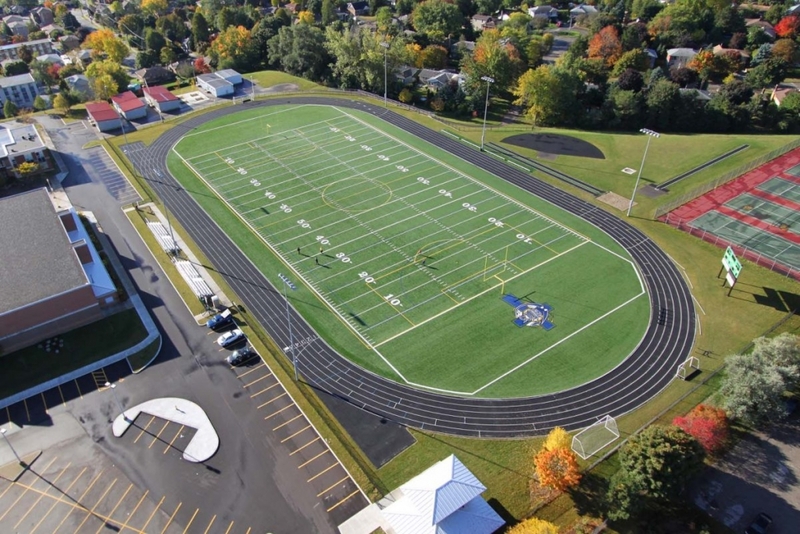 Requirements included excavation and grading to design subgrade, installation of field sub-drainage, and perimeter concrete curbing. The field base consisted of a geotextile liner with free draining aggregate meeting FIFA surface planarity requirements. 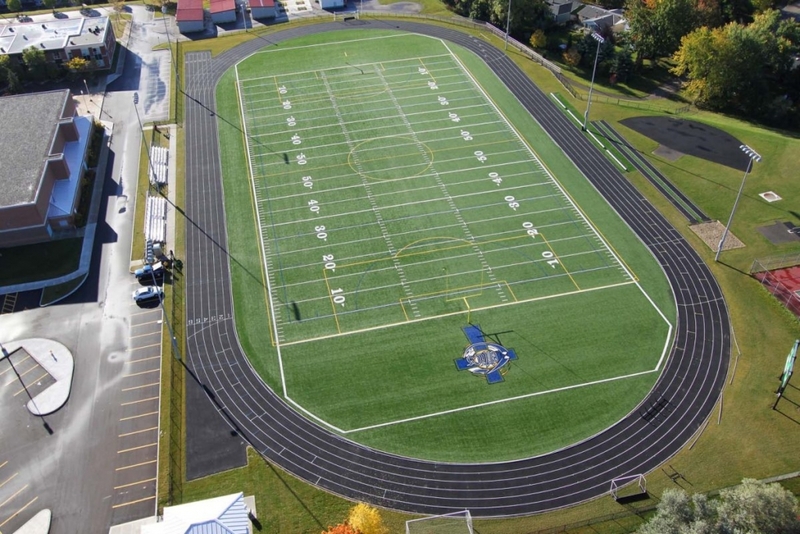 The project was successfully certified by IMF. 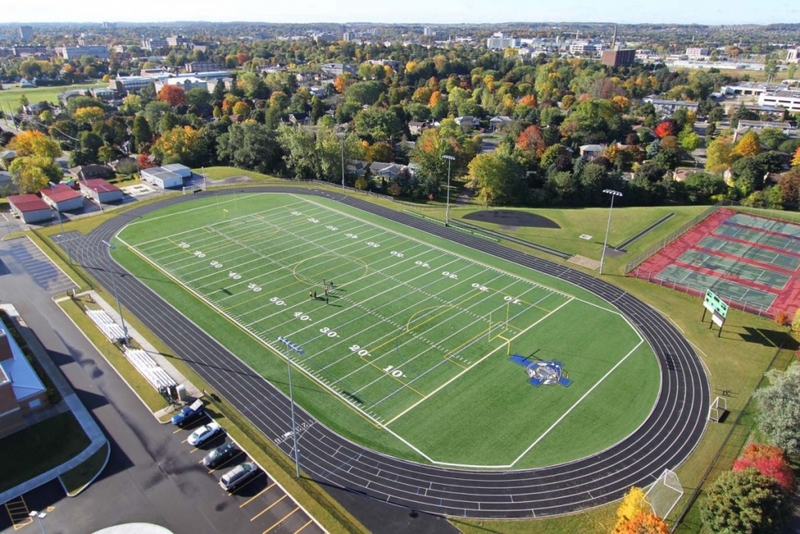 Associated field facilities included in this project were player's benches and bleachers mounted on concrete paving, field lighting, score­board installation, fencing, storm drainage and pathways. 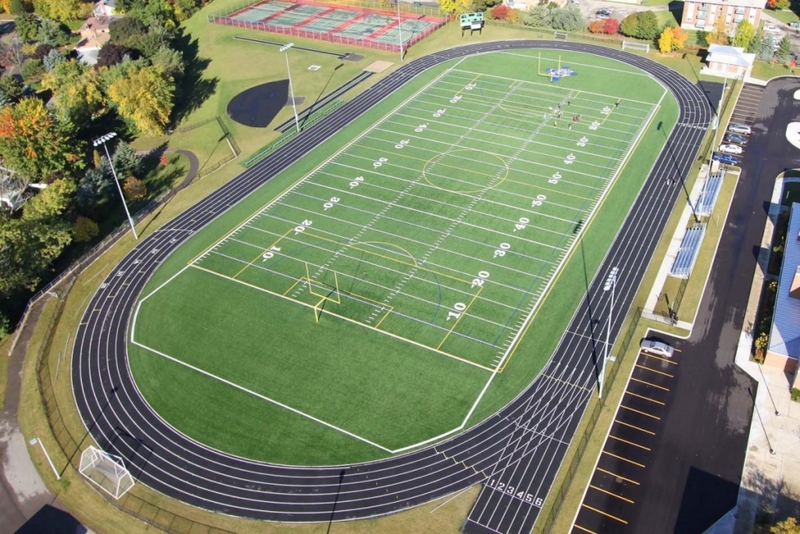 Additionally this project involved relocat­ing asphalt parking lots and new sanitary/watermain services for a proposed fieldhouse.